While I'm on the topic of Mild quality in the 1920's, I may as well look at other London breweries, too. I think I may have to rethink my plans to hang around in Barclay Perkins pubs when I move back to the 1920's. That's pretty piss-poor, isn't it? Not a single one totally bright. Only 4 out of 14 with a positive score for the flavour and three that sound undrinkable. None of the beers is without a fault. I wonder if they fined their beers. I suppose nowadays the landlord would just have to scribble "unfined" on the pump clip and suddenly those faults would all disappear. * I did, but got distracted by something else. This is very revealing Ron, thanks. It's interesting that given a choice in the parallel bottled beer market, sedimented beers were fairly quickly abandoned in the decades following about 1900. And this kind of poor record from one of England's greatest breweries shows that the same thing had to happen to draught beer albeit it took decades longer (into the early 80's). Lager and keg ales largely by then had replaced real ale as a significant part of the market, a fact that has endured to this day. Why was this a problem in the 1920's? I think probably it was fall-out from the big gravity declines and reduction of hop bills for such beers. This made the beers less stable, I'd infer. A drop of 24% to 33 1/3% in alcohol and halving the hop rate or more, i.e., as compared to two generations earlier, had to have some effect and I'd infer the technical side simply didn't keep up. 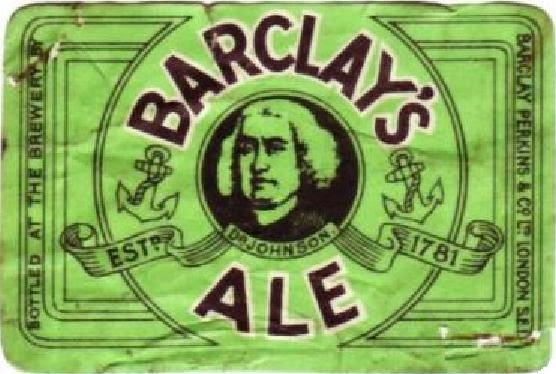 The breweries hadn't learned, or not this one, to reliably make a stable, lower-gravity product. Probably the problem got only worse in succeeding decades due to onset of even lower strengths. Maybe this was palliated in part through better technical skills (better yeast, labs, other materials) but in my experience into the 90's of drinking cask ales in England - by this time mostly bitter although bitter of a kind that would have qualified as mild in an earlier time IMO - not to mention real mild so-labelled, you had perhaps a 50-50 chance of getting a really good pint. The iffy pints wouldn't necessarily be as bad as here, cloudy or (especially) sour or mouldy, but numerous faults would be evident: slight sourness, a "cellar" note (as Jackson used to elegantly term it), zero carbonation, or just "off": experienced tasters know it when they taste it. People talk of badly kept beer - cellarmanship - but that was only part of it, IMO. I haven't been to England in about 4 years and I hope the standard of cask is higher, but I can't help but think that those rich-tasting American keg beers are partly filling the need for "real" beer that remains stable.